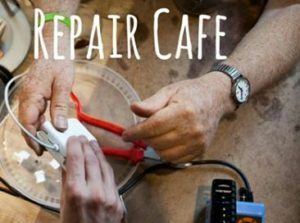 The Repair Café is an open shop and tool share for community members to come to the Teton Habitat ReStore and have access to tools in order to repair broken materials and reduce waste. The tool shop will be open the SECOND Tuesday of the month from 6-8PM and will be led by a Habitat staff member or seasoned volunteer. Please bring your projects, broken household items, and creativity to the Repair Cafe to be fixed or completed! Together, we can reduce waste and share our communities resources. Stop by anytime between 6-8PM, we will be working in the donation receiving area of Teton Habitat ReStore. We hope to reduce waste in the community through the creation of this tool sharing and material repairing program! The Repair Cafe and Upcycling workshops are made possible by the RRR business leaders program and Teton County Wyoming Government.